Finding lots of Napa Valley things to do is easy. But because of the wealth of sights, tastes and experiences that await every tourist, choosing which ones they should do first becomes a little bit difficult. But one thing that shouldn’t be left out of your Napa Valley travel list is, of course, wine tours. There are hundreds of wineries in Napa, most of them family-owned, so each of them offers a different and unique experience to every guest. If you’re on a short getaway to Napa or having a week-long holiday there, it is best to visit a winery or two a day. To make the most out of your day trip, it is best to visit a winery which is the closest to where you are staying. Or if distance is not much of a factor, you may consider other things. Do you like to do wine cave tours? Or experience food and wine pairings? Or ride the Napa Valley Wine Train or enjoy a cable car ride at the Sterling Vineyards? Or are wineries with amazing art galleries and architecture more your thing? You may consider these factors before actually visiting these wineries. Of course, no visit to Napa Valley is complete without food! Go for a classic fine-dining at the French Laundry or grab a lunch at the Oakville Grocery and go for a picnic at one of the wineries, in an idyllic setting, or sample artisanal treats at the Oxbow Public Market. The Napa Valley caters to every foodie. Not surprisingly, there is a wealth of outdoor activities in Napa Valley on account of its breathtaking, scenic natural beauty. 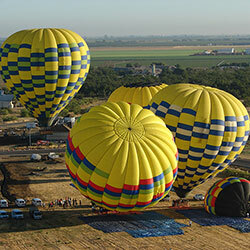 Going out all day and visiting the vineyards is a good past time, but there are also other things to do such as cycling, hiking, swimming (at the lake Berryessa and the Napa River), golfing, and riding a hot air balloon. Yes, a hot air balloon! Not everyone can experience this unique activity as it is kind of pricey. But it is worth the cost, as you will be able to see Napa Valley in a way like nothing before. Enjoy 360-degree views of the expansive and neat rows of grapevines, deep valleys, verdant rolling hills, and estates that seem like toy houses when viewed from above. The beauty of Napa Valley from a different perspective is really something that you cannot forget. Of course, you won’t finish the journey without taking beautiful photos and videos of the Napa Valley from your smartphone, DSLR, or Go-Pro. Even just a point-and-shoot camera will suffice and you can still manage to take breathtaking photos! Seeking a hot air balloon flight adventure (as well as a piece of tranquility) is pretty easy to find with Balloons Above the Valley (BATV). 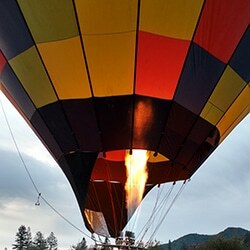 Our decades of experience, competent pilots, and customer staff and of course our flawless hot air balloon flights surely put us above the competition. Our pilots are highly experienced, FAA-licensed, and have demonstrated their love for flying and meeting different folks throughout their piloting experience. So you’ll know you’ll be in safe hands with our pilots and you will enjoy your light (and informative) with our masters of the skies as they skillfully maneuver the hot air balloons. But first, a lovely breakfast greets you and gets you prepared for the flight. A post-flight champagne brunch is served for you and the other guests to celebrate the successful and wonderful flight. With Napa’s bountiful offering of wonderful sights, sounds, tastes, and activities, finding Napa Valley things to do isn’t much difficult at all.